Do Marijuana Dispensaries Attract Crime? In the height of Prohibition in the U.S., cannabis was falsely linked to all kinds of crime and debauchery, and we now know those campaigns were based on fear tactics rather than facts. But still, many people continue to ask: Do cannabis dispensaries attract crime to neighborhoods? The short answer: No, dispensaries don’t attract crime. There are a number of factors that actually make cannabis dispensaries safer than other kinds of stores that are already common in U.S. communities. High Security— Cannabis may still have a significant black market, but the above-board, regulated dispensaries are nothing like their illegal counterparts. 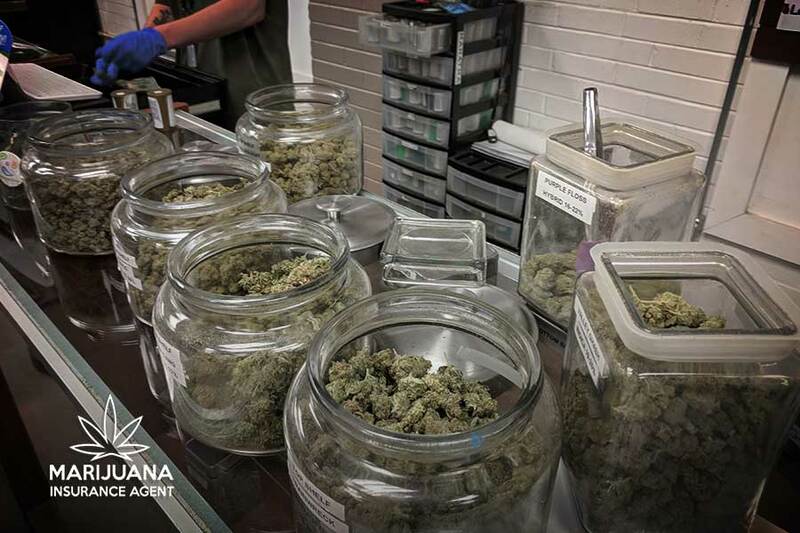 By state law, dispensaries in the U.S. have an impressive security setup that monitors every site, staff, and customer with high-quality video and other security measures. This not only provides a better opportunity for thieves to be caught, but the presence of the security cameras and fences acts as a deterrent. Maybe Safer than Alcohol and Tobacco Stores–A recent study looked at cannabis, tobacco, and alcohol businesses in Long Beach, California, and the crimes rates surrounding these establishments. The report saw violent crime and property crime increase significantly in the areas surrounding stores that sold either tobacco or alcohol exclusively, but the same pattern was not present for cannabis. Tobacco stores in particular were noted as potential “nuisances” for neighborhoods. It is a fascinating correlation, but it doesn’t necessarily mean that tobacco stores cause more crime. It could be that only stores like those that sell tobacco are willing and able to set up shop in high-crime areas. Regardless, cannabis dispensaries are not correlated with increasing crime rates in their neighborhoods. Rare Robberies–Cannabis businesses can be targeted due to the cash-only nature of much of the industry, but it’s rarer than you’d think. Again, the high security measures and precautions deter a lot. Sometimes robbers are enticed by what seems an easy target, like the thieves that stole displays of “cannabis” only to find them filled with oregano. Too Much on the Line–Businesses that have invested thousands, maybe millions, into developing a storefront, are less likely to risk all that investment by breaking the law. Penalties can be steep and could lose a person their license for major violations, and there is too much at stake for most businesses to not follow the law. Improves Crime Resolution Rate–A study looking into the “crime clearance rate” (or the percentage of reported crimes that are resolved) of Colorado and Washington actually found their crime clearance numbers improve after cannabis was legalized. Not for all types of crime, but significantly for some. Brings Jobs and Taxes–What is a better neighborhood stabilizer than well-paying jobs? Dispensaries and the related facilities that can come along with them are growing employers, many of which have plans for expansion in the years to come.